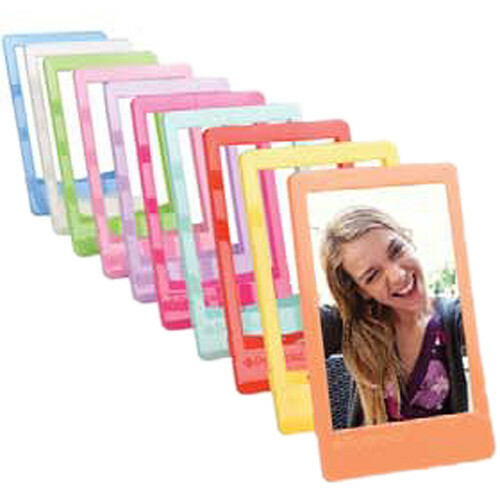 Have fun showing off your 3 x 4" instant prints with this 10-pack of Mini Frames from Polaroid. Each of the frames can hold a single 3 x 4" print and features a built-in pull-out stand that lets it stand in either a horizontal or portrait orientation. The pastel-colored frames can also be hung flat on a wall.